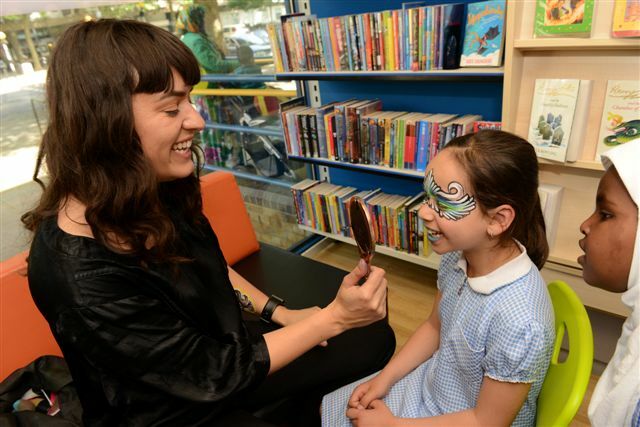 A couple of months ago, North Kensington Children’s Library had several celebrity visitors: apart from Father Christmas, we had two very special, and talented, hosts for our Baby Rhyme Time session. Dressed in matching elf jumpers (it was Christmas! ), Daniel and Robert (on loan from Chelsea Library, pun intended) came to North Kensington to give us their thrilling Electric Babyland session as a festive treat. The words “thrilling”, “loud” and “exciting” come to mind when I try and describe the experience. But even then, Electric Babyland seemed to generate a myriad of feelings, that limiting it to these three adjectives does it a disservice. The amps were the focus of several curious gazes but when the iconic strums to “Wild Thing” began to play, it didn’t take long for most of the children (and the adults!) to start getting their groove on. And if the giggles and wiggles we witnessed are any indication, we several future rock stars to look forward to! One Direction, who? We quite enjoyed our “Route 52” rendition of “Wheels on the Bus” (we travelled all the way from Ladbroke Grove to Willesden Junction!) and let me be the first to say that there was a lot of passionate “shh, shh, shh” going on! Things got a little bit competitive when it came to a post code-challenge “Head, Shoulders, Knees and Toes”! Sufficient to say, Daniel and Robert were blown away with our talented children and their superior skills. Better luck next time, guys! 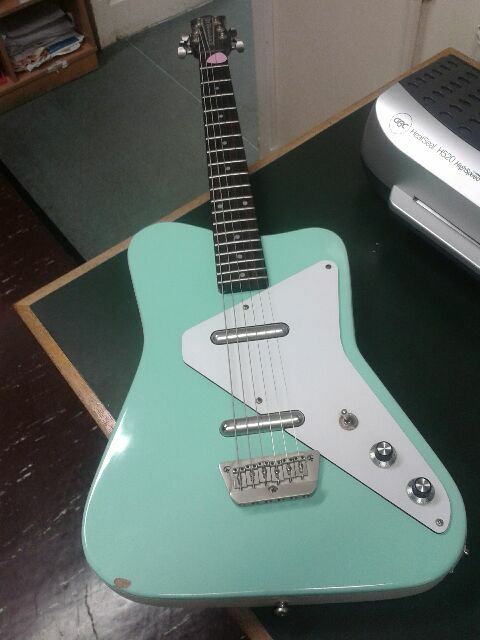 If after the session, we borrowed a copy of “Guitar for Dummies” and dusted off our once-used-and-quickly-abandoned-guitar, we would never tell. Guess we will have to see what our next Baby Rhyme Time sessions bring! Find out when our Baby Rhyme Time sessions are held here! 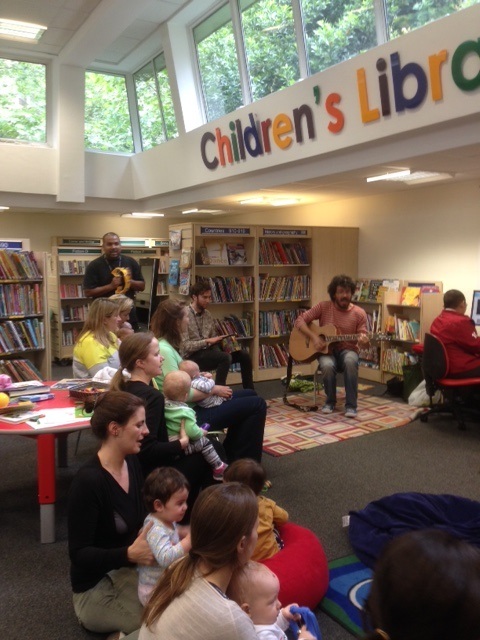 Summer kicks off at Notting Hill Gate Library! 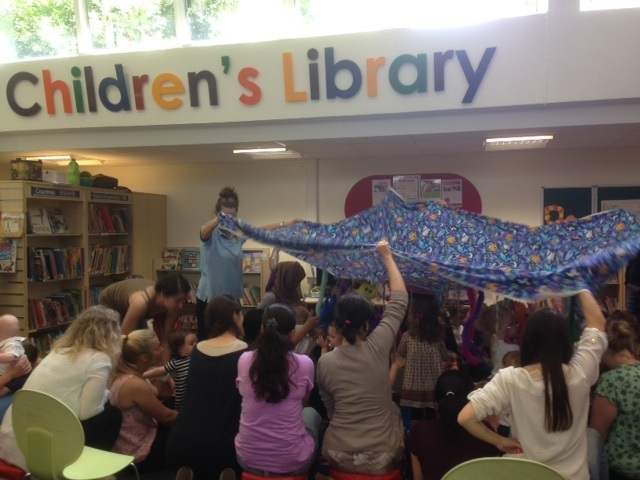 Notting Hill Gate Library has gone storytelling, craft making and nursery rhyming crazzzy this month! To celebrate the launch of the Summer Reading Challenge we have offered more Baby Rhyme Times, Crafts, and Storytelling Sessions. The children have come in and had a blast! 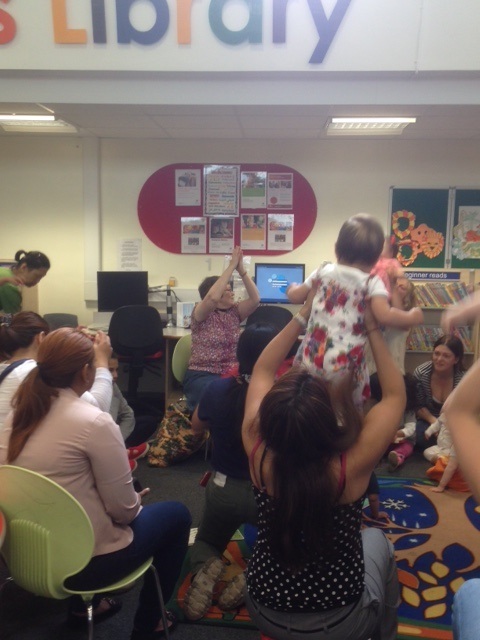 We have had lots of positive feedback from parents, especially with the Baby Rhyme Time on Saturday: a few of the parents work during the week so this was a chance for them to see their toddler getting involved- singing, dancing and meeting new friends! Come along to our next sessions: Baby Rhyme Time- Friday 25th July, Storytelling- Saturday 26th July. Click here for more information about our Summer Reading Challenge! And remember….DON’T let the pigeon drive the bus!! 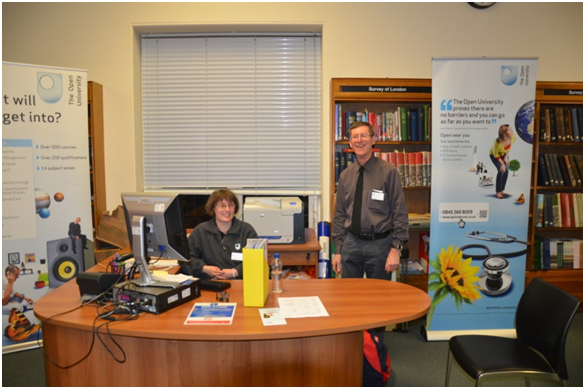 We have also had the Fab Flowers Team at Notting Hill Gate Library helping us to make our very own fabulous flowers! There was much excitement as we all got to stitching and some wonderful pieces were made: brooches were the chosen favourite and some beautiful brooches were made by some very happy (and very proud of themselves!) attendees. Fab Flowers was part of Adult Learners Week. 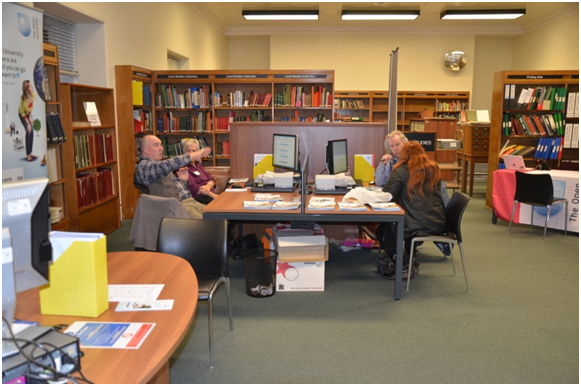 (For more reading group details, please see our reading groups page on the library website). We have had a wonderful start this month celebrating Kensal Library’s 50th birthday. The day started with a special Baby Rhyme Time where we read some stories about birthdays and sung birthday themed songs and rhymes then the children were treated to milk and cookies followed by unwrapping a large birthday present containing, much to the delight of the children, Bookstart teddy bears! Later on at the main event our customers came to help us celebrate with some African dancing and the children were enthralled with the face painter, Natalie, who created some marvellous designs and who, needless to say, was busy for the entire event! Also popular was Ethnnie Farry who kept the children occupied with sewing some beautiful birthday badges. A beautiful cake was made for the event by Gail’s Artisan Bakery and it really was the best carrot cake I’ve tasted!! All three Golborne ward councillors paid a visit and showed their support for Kensal Library and Emma Dent Coad gave a short speech and helped with the cutting of the cake. All in all it was a great event. Thank you so much to our users for helping us celebrate and for signing our birthday card. And thank you so much to all our staff who helped with organising the event and who helped out on the day and turned up in support and to celebrate with us. Please take a look at our facebook page for more fab photos of our birthday party! St Peter’s Nursery discovered the Notting Hill Gate Library when they visited us on Friday 17th January. They had a tour of the library and then an afternoon of story time. Snip Snap Alligator by Mara Bergman and We’re Going On A Bear Hunt by Michael Rosen were both part of the books read. The 3-4 year old enjoyed these immensely, they had a wonderful time! Saturday 25th January saw Carnival Mask making at the library. Two to nine year olds made fantastic colourful masks. They were then treated to an impromptu Baby Rhyme Time for the younger visitors which went down very well. Our regular Story and Craft sessions are on the last Saturday of the month, however from April this will change to the first Saturday of the month. 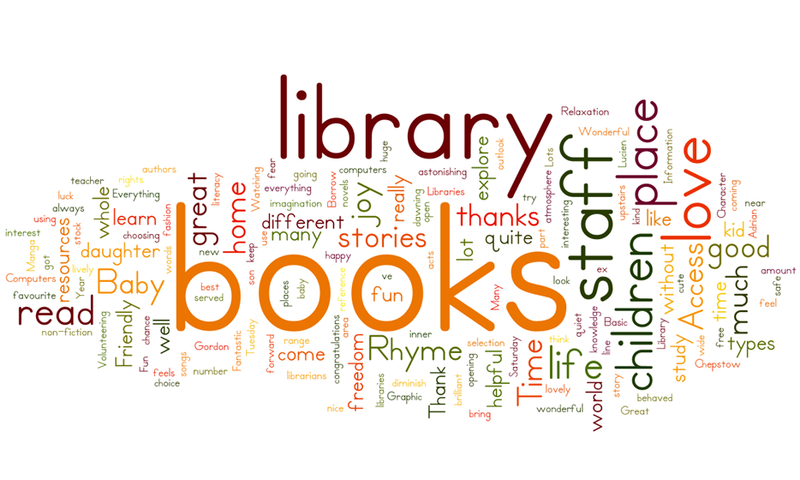 The eighth of February was National Libraries Day: Notting Hill Gate Library celebrated with a special Baby Rhyme Time, with stories, rhymes and songs with an enthusiastic audience. Then the parents and children joined in together to make paper Bat Planes and very quickly the air was full of flying bats to everyone’s amusement. Last but not least…reading group news! Two of our reading group members, Brenda Ferry and Janet Mayhew, celebrated after getting an award for Best Attendance in 2013 for the Notting Hill Gate Reading Group. Well done ladies!